Is Sigma planning to launch lenses for Fujifilm's X Series? 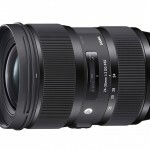 Home / Rumors / Is Sigma planning to launch lenses for Fujifilm’s X Series? Is Sigma planning to launch lenses for Fujifilm’s X Series? Even though the quality of Fujinon’s lenses is superb, many of us would like to see other companies seriously consider the X Series a system to work on and make more affordable lenses available. Though we’ve already seen interesting manual lenses from other companies like Samyang, the best news would be to see the two main "third parties" for reflex cameras, Tamron and Sigma, stepping into the Fujifilm universe. We learned through Fujirumors of a video interview of Kazuto Yamaki, CEO of Sigma, conducted by the Italian website fotografia.it. In the fifty-minute long interview, Yamaki discussed his production philosophy, technological advances in optical manufacturing, and future product launches of lenses. On this last point he let slip that, despite centering his production line on objectives for reflex cameras, he has a great interest in mirrorless cameras, even though the development of new lenses would require lots of time and despite the limited resources his company has available. For that reason he’s expressed the importance of demarcating his target audience: the amateur photograph with experience who needs a mid-range product. With all surety, Fujifilm’s X Series could fit very nicely in the Japanese company’s expansion plans, now that the horde of Fujifilm photographers is much more visible. The rumor mill began churning after the interview’s publication and a new source from Fujirumors has said that Sigma is already working on the X Series, though it hasn’t yet decided what lenses to develop or when they will be released. Let’s hope that the conjectures are true and we get great, affordable lenses for our Fuji cameras, like the Sigma 30mm F/2.8 EX DN, soon. Previous Canon EOS 70D vs 7D vs 7D Mark II, what’s the difference? Rumor: the Fuji X30 will have an electronic visor instead of an optic one.